In the evening of November 2nd, at Tuyen Quang provincial Children’s Culture - Sports Center, Supporting Center for Farmers and Rural Areas (Central Vietnam Farmers’ Union - VNFU), Provincial Farmers’ Union and Son Nam International Event Planning Co., Ltd. collaborated to hold the launch of the 2017 Agricultural Trade Fair in Northern mountainous region. Leaders of Central VNFU and Provincial People’s Committee to cut the ribbon. Photo by Thanh Phuc. 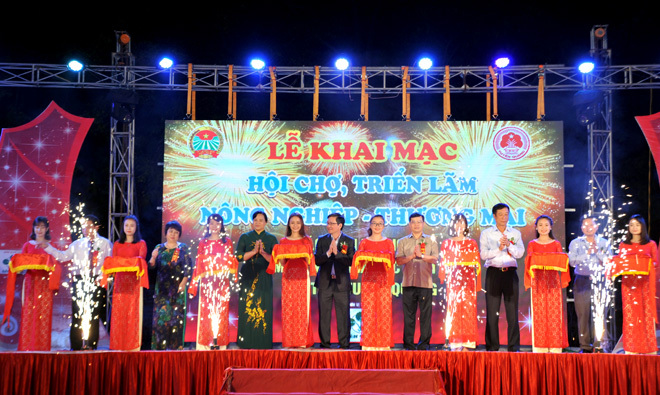 The event was attended by VNFU Vice Chairman and Head of the Fair Steering Committee - Luong Quoc Doan; members of the standing committee of Tuyen Quang Provincial Party Committee such as Chairman of the Provincial People’s Council and Secretary of the municipal Party Committee - Nguyen Van Son, Vice Chairman of the provincial People’s Committee and Vice Chairman of the Fair Steering Committee - Tran Ngoc Thuc, Head of the Provincial Department for Mass Mobilization and the Provincial Fatherland Front Committee - Trieu Thi Lun, Head of the Organization Department - Le Tien Thang, Head of the Provincial Propaganda and Training Department - Ta Duc Tuyen; heads of departments of Central VNFU; heads of departments under the Provincial People’s Committee; and representatives of FUs in Northern mountainous region. 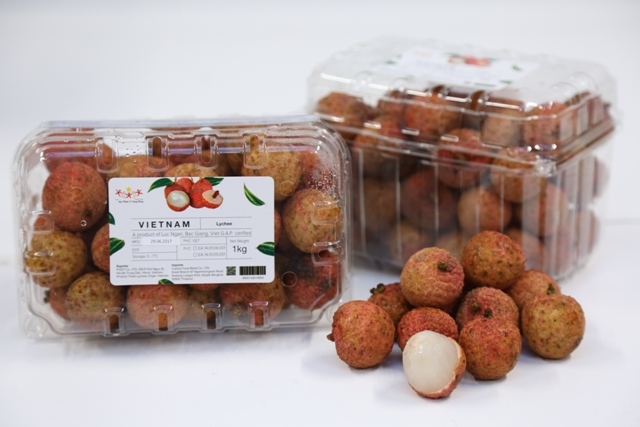 The fair consists of 140 booths of 12 provinces and enterprises in Northern mountainous region, including 4 booths of Tuyen Quang. Products displayed at the fair are rural industrial products, traditional handicrafts, machines, vehicles, production materials, furniture, textiles, clothes, etc. During the time of the fair, a convention on technology transfer in industrial production is also to take place. 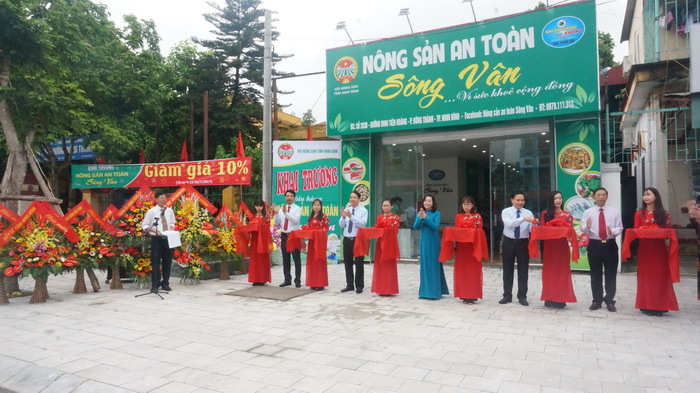 At the opening ceremony of the fair, Supporting Center for Farmers and Rural Areas (Central VNFU) gave 10 million dong to Tuyen Quang Provincial Supporting Fund for Farmers; and Lam Thao Fertilizers and Chemicals Co. also gave 10 million dong to 10 poor farm-households of the province. 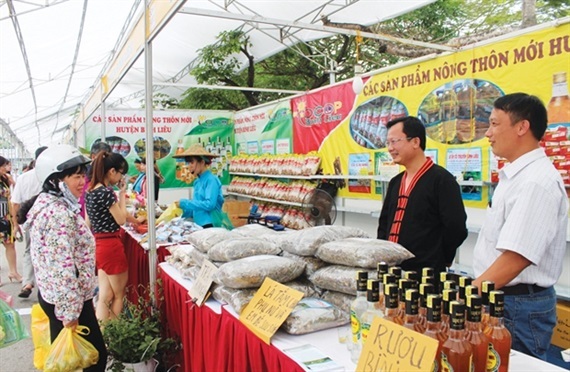 Speaking at the event, Vice Chairman of the Provincial People’s Committee and the Fair Steering Committee, Tran Ngoc Thuc emphasized that the trade fair was a festive day to farmers in Northern mountainous region and a chance for them to introduce their products, do business and exchange business knowledge and experience. 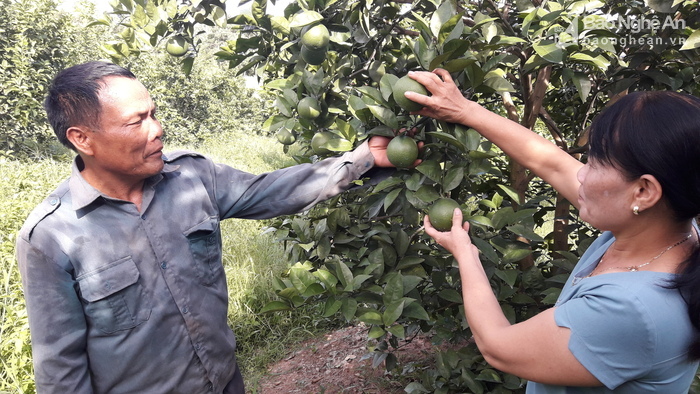 Thuc hoped that VNFU would continue to support farmers in Tuyen Quang to build a modern agricultural sector targeting sustainable rural economic development. The fair takes place from November 2-9, 2017.